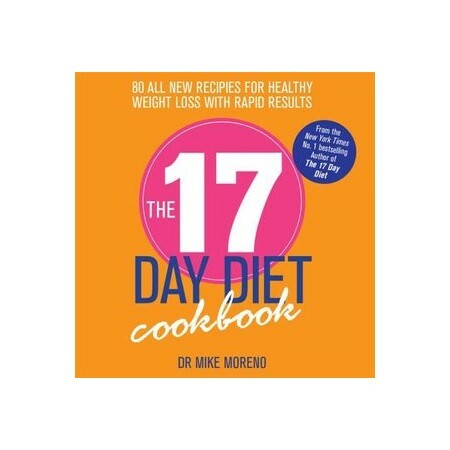 Dr Mike Moreno's 17 Day Diet is a revolutionary new weight-loss programme, structured around four 17-day cycles, that activates your skinny gene so that you burn fat day in and day out. Each phase comes with extensive lists of what dieters can and can't eat while on the phase, but also offers acceptable cheats. The 17 Day Diet Cookbook provides delicious recipes for all the meals, snacks and treats featured in The 17 Day Diet, allowing you to plan your menu to fit perfectly into your diet. Dr Mike knows that a diet can only work if it's compatible with the real world, and so he's designed the programme with usability as a top priority.